A coalition of defense attorneys and criminal justice reform groups urged Gov. Andrew Cuomo in a letter on Tuesday to approve a bill that would create a special commission to review complaints of misconduct against the state’s prosecutors, who are against the proposal. 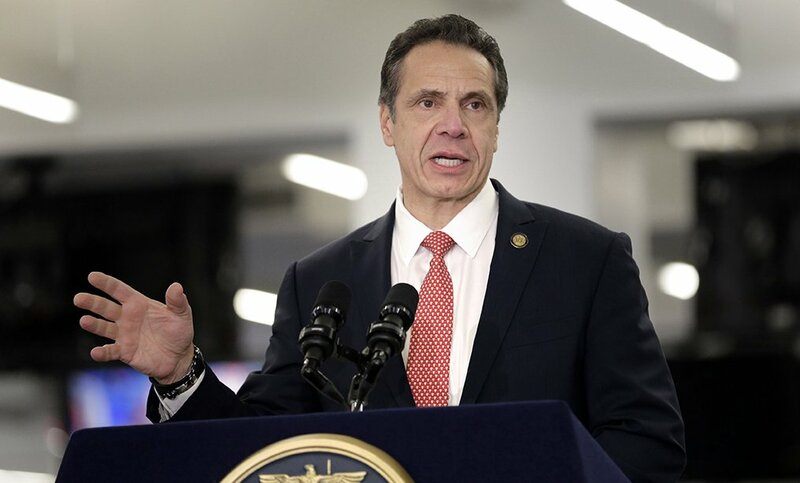 Cuomo has until the end of the day on Wednesday to make a decision on the legislation, which is almost certain to be challenged in court by the District Attorneys Association of the State of New York over its constitutionality. Supporters of the legislation wrote in a letter to Cuomo on Tuesday that the bill would provide more supervision over the state’s prosecutors, who they argue should be held to a different standard from other attorneys in the state when faced with allegations of misconduct. “By making accountability paramount, the Commission bill will end the status quo and ensure that justice will prevail in those instances where conduct deprives the accused of all that is guaranteed by our state and federal constitutions,” the coalition wrote. The letter was signed by several groups, including the New York State Defenders Association, the New York State Association of Criminal Defense Lawyers, Legal Aid Society, and others. They also noted that the legislation would have an unintended benefit for Cuomo in relation to his support for additional criminal justice reforms this year. Cuomo wants lawmakers to change the state’s laws on cash bail, the right to a speedy trial, and criminal discovery. Creating a special panel to review misconduct by the state’s prosecutors would allow more oversight on the implementation of those reforms, the letter said. “The Commission will provide the oversight necessary to ensure that the Discovery Reforms you currently are advancing are not run roughshod by prosecutors who have a habit of bending the rules,” the letter said. The groups have supported the legislation for the past few years as a way to cut down on the number of exonerations in New York and add extra measures to review allegations of misconduct by the state’s prosecutors. New York had among the highest number of exonerations in 2017, according to the National Registry for Exonerations out of the University of California Irvine. Prosecutors in New York have argued that the commission is unconstitutional, and said so in their own letter urging Cuomo to veto the legislation this week. It’s actually the second time they’ve asked Cuomo to reject the legislation. Lawmakers approved a bill to create the commission last June, but that was met with constitutional concerns both by the state attorney general’s office and the state’s district attorneys. Cuomo signed the initial bill in August with a promise from lawmakers to pass an amended version to cure some of the constitutional defects at their next earliest opportunity. They approved the amended bill in January, but didn’t send it to him for approval until earlier this month. Lawmakers aren’t required to immediately send legislation to Cuomo after they pass it. DAASNY, meanwhile, filed a lawsuit against Cuomo and the leaders of the state Legislature over the constitutionality of the original bill in October, two months after it was signed into law. That litigation was put on hold while lawmakers prepared to pass the amended version of the bill, but now is expected to continue if Cuomo approves the legislation this week. They’ve identified several provisions of the law that they interpret as unconstitutional, including concerns over the separation of powers between branches of state government and how the legislation assigns nonjudicial tasks to members of the judiciary. The bill, if approved, would create an 11-member panel of defense attorneys, prosecutors, and retired judges to review complaints of misconduct against the state’s district attorneys and their assistants. It would be able to publicly sanction prosecutors or recommend that Cuomo remove them from office, which only the governor can do under the state constitution. Prosecutors have argued that a process already exists for disciplining attorneys in New York, including the state’s district attorneys. Each of the state’s Appellate Divisions have Grievance Committees that review complaints against attorneys and issue public decisions on their outcome. But supporters of the commission claim the process should be more efficient and transparent when it pertains to district attorneys since they’re public officials who bring charges against individuals. The body is based on the state Commission on Judicial Conduct, which handles complaints against the state’s judges. That panel’s decisions are posted publicly and include a synopsis of its investigation and the proceedings that evolved from it. Cuomo has been supportive of the new prosecutorial conduct commission and helped identify the changes lawmakers passed to address some of the constitutional concerns. He’ll have until the end of the day Wednesday to make a decision on the legislation, which a spokesman said his office is still reviewing.